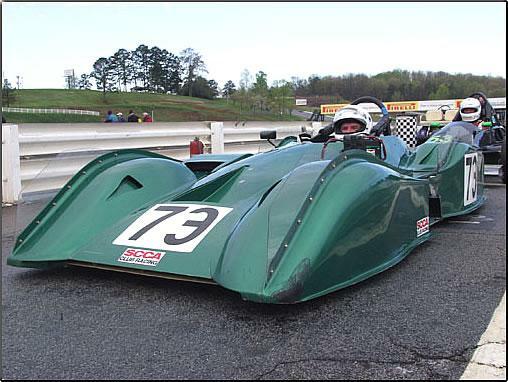 Jim Bonsey's DSR car is pictured at Road Atlanta. Note the clear Lexan vertical fences running down the length of the fenders. The lower photos show the car's relative size to the people standing next to it.